The Art Deco Black Chevron is a stylish decorative mosaic which is an excellent choice for feature walls, bathroom walls, and kitchen splashbacks. 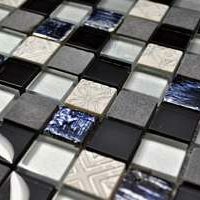 With a trendy design consisting of stone and glass mosaics in shades of black and grey, this mosaic perfectly complements a variety of colour combinations. 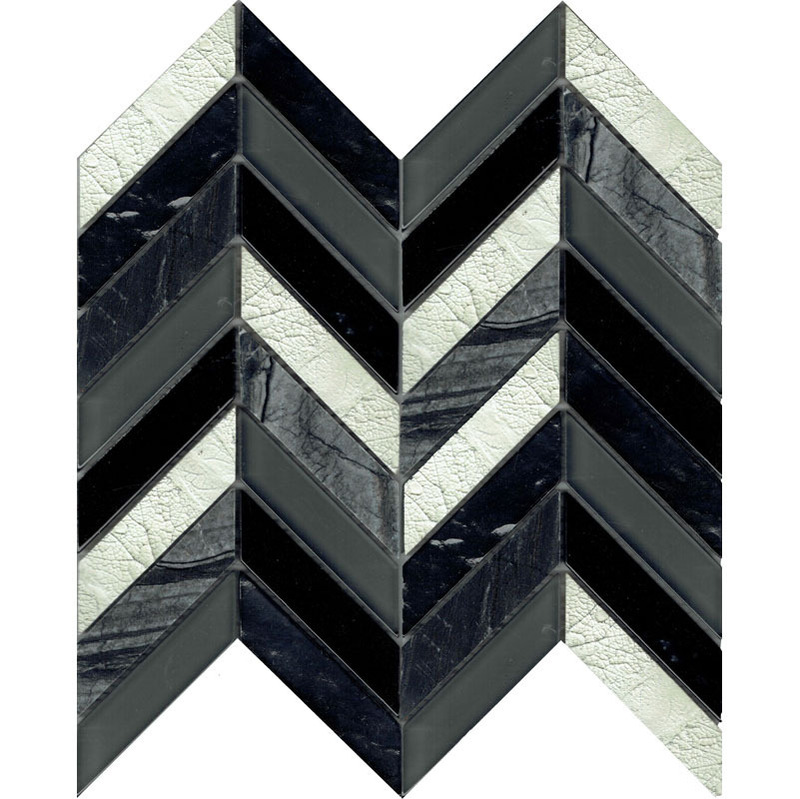 The Art Deco Black Chevron measures 280x285mm in dimensions and is sold per sheet. 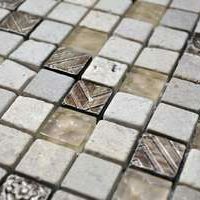 Give your home an updated look with this stylish mosaic tile. Its neutral look will pair all types of design schemes ranging from classic to contemporary. Experience the highest standards of quality with the Art Deco Black Chevron mosaic. It exhibits the superior quality of manufacturing and is backed by 10-year quality assurance. For a stylish decorative mosaic in Perth for bathroom walls, kitchen splashbacks or feature walls, you’ll find nothing better than the Art Deco Black Chevron at Ross’s Discount Home Centre. 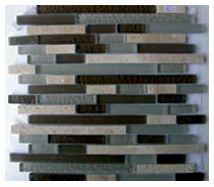 Shop from our online store to purchase this trendy decorative mosaic at the best possible price and take advantage of our 14-day money back guarantee!